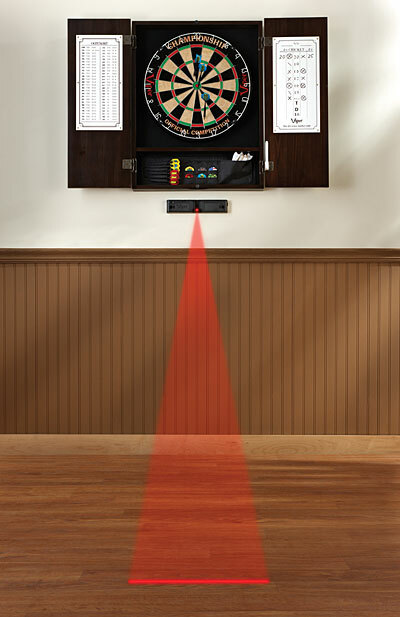 Viper's Laser Throw Line is a high tech answer to the darts mat, or putting an oche sticker on the floor. 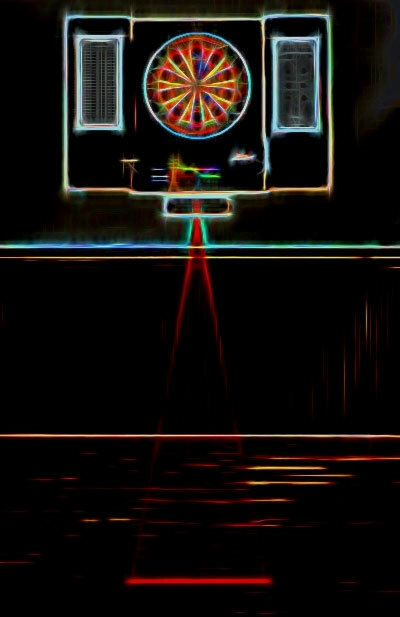 The Laser Line's design is a true affordable dart product and will take your dart set up to the next level. With a perfect beam you can easily see when your foot is over the line, even in poorly lit areas and there's nothing to trip over. Works Great in conjuction with actual throw Lines, also. 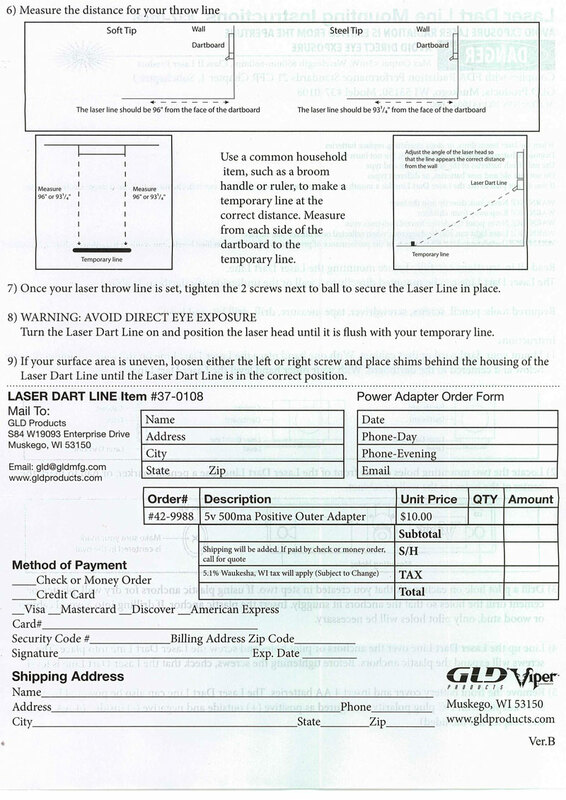 Note: Over-Tightening Any Part of the LaserOche Voids Any warranty- written or otherwise! 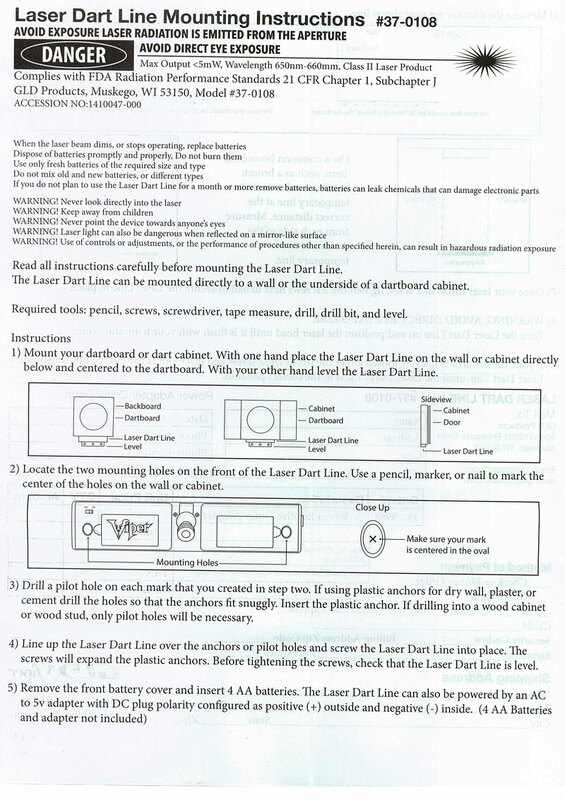 NEVER adjust the Laser without loosening any set-screws first.